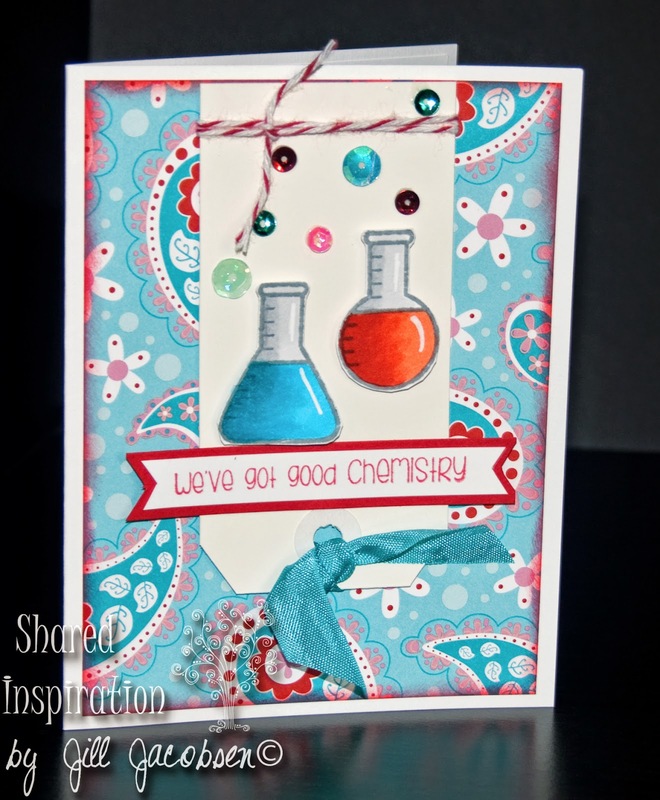 Hi Stampers, A quick share....today I have a few valentine cards for you. I used some older Unity stamps for the first one. 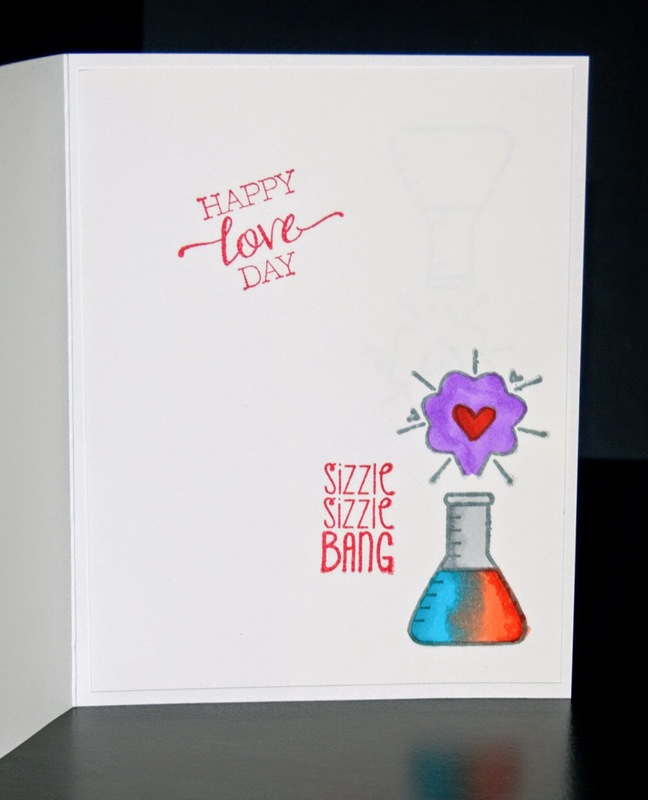 I like it because it's different than any other love stamps I've seen. I got the inspiration for this card here on Pinterest. The second card is a new stamp from this months KOTM. 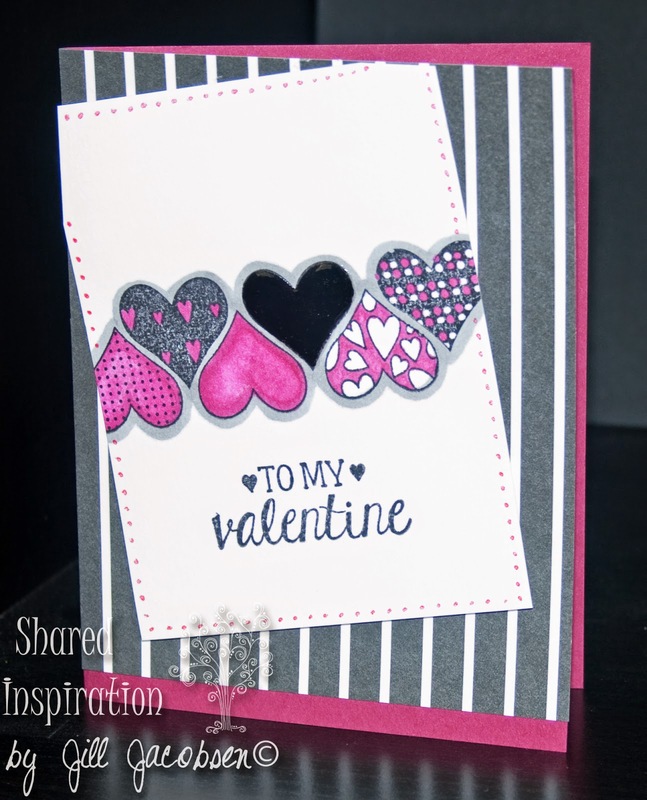 The one solid black heart has Glossy Accents on it and I used a pink gel pen to add the dots around the cardstock.